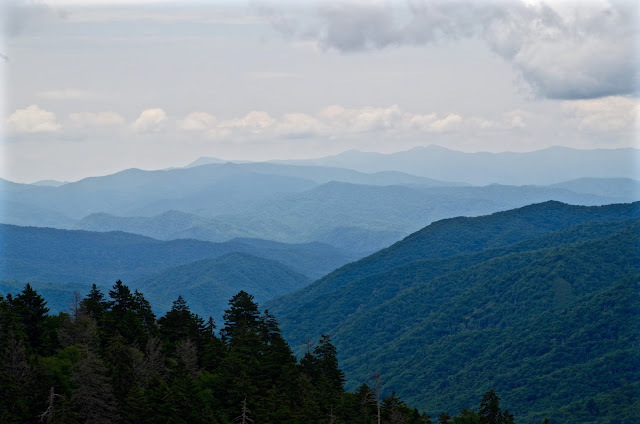 Eastern Tennessee and western North Carolina rise up to greet each other in a mighty panorama of rugged mountain peaks along the southern spine of the Appalachian Mountains. Wave upon wave of mountain ridges are separated by deep valleys. This amazing natural landscape has been preserved for all of us to enjoy. 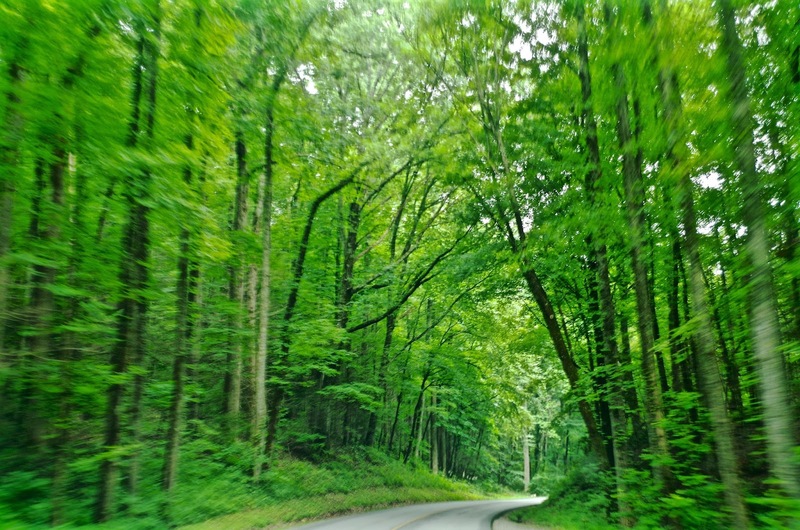 The Great Smoky Mountains National Park is the most visited national park within the US, with almost ten million visitors a year. Its two main entrances are from Cherokee, NC and from Gatlinburg, TN next door to Pigeon Forge and Sevierville where we entered it from. 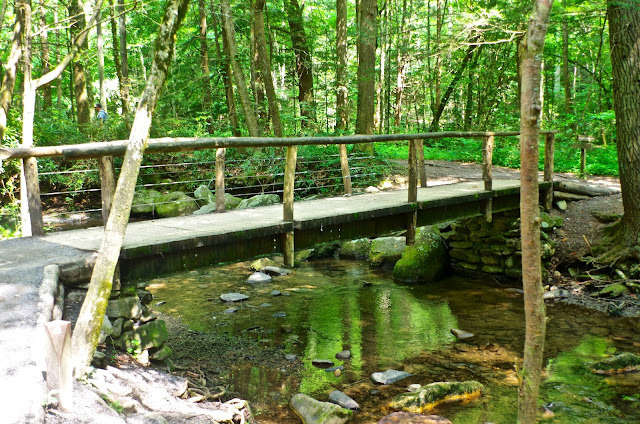 Covering over 520,000 acres, the Great Smoky Mountains National Park ranges from the pastoral meadows of Cades Cove, which measures 840 feet above sea leavel at its lowest point, up to Clingmans Dome, the park's highest peak at 6,643 feet. 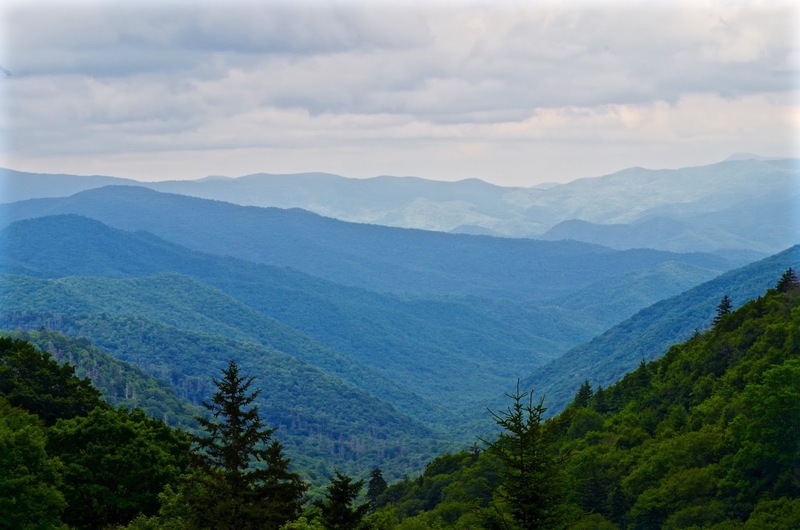 The Great Smoky Mountains has over 36 miles of continuous mountain ranges reaching heights above 5,000 feet, making it the largest stretch of high land in the eastern US. 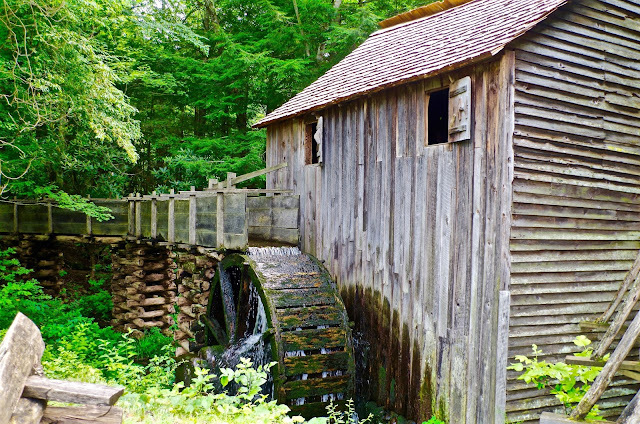 The Great Smoky Mountains is one of the oldest mountain ranges in the world. Worn down over time, its peaks are now covered with an abundant carpet of trees, pines, shrubs and plants. Over 100 species of native trees and more than 1500 flowering plant species can be found in the Smokies. 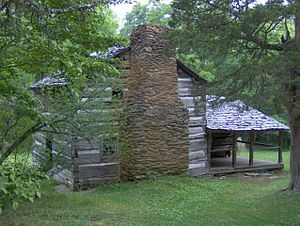 Birthed during the Great Depression, the Great Smoky Mountains National Park was officially established by the US Congress on June 15, 1934, and dedicated by President Franklin D Roosevelt at Newfound Gap in 1940. This particular park was carved from the homesteads of families as well as the forced closure of logging businesses. 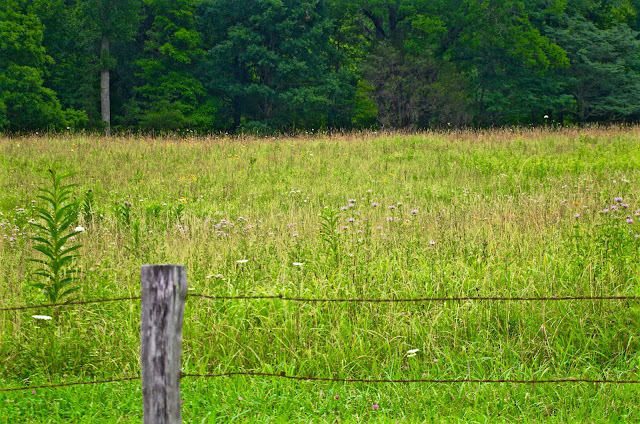 All the land had to be bought and paid for; school children of the time even donated their lunch pennies. A number of historical homes and farms have been preserved to represent the hard-working early settlers. One of the things I wanted to "see for myself" was if the mountains really did look blue "in person", like all the pictures showed! I had seen lots of ads for the Great Smoky Mountains, and they always showed the iconic scene of the mountain range all misty in shades of blue. I'd always wondered if that was done on a certain day early on a fall morning, when the weather was "just right", and that it wasn't something one sees very often. So, when we arrived and got set up in our campground, I was anxious to "go to the mountains"! 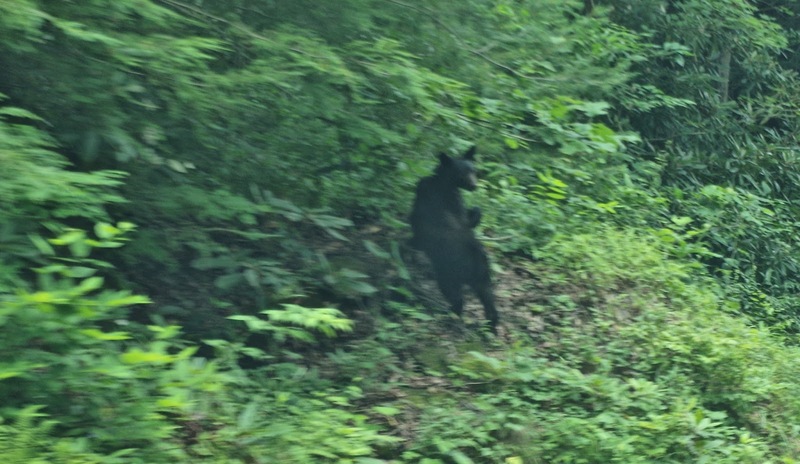 Our second trip was into Cades Cove. 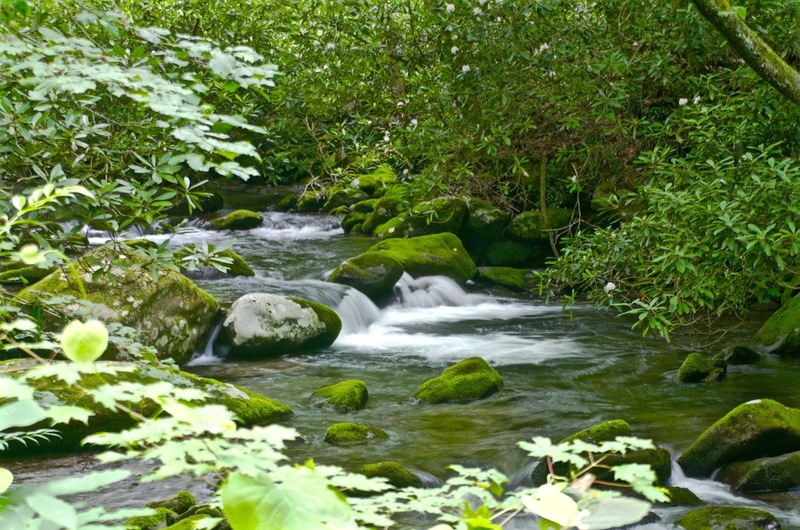 This secluded, flat little valley is only 4000 acres in size and is sheltered by the mountain ridges. It's a wonderful 11-mile, one-way loop that follows the outer edge of the cove through intermittent woods, sheltered fields and historical buildings. 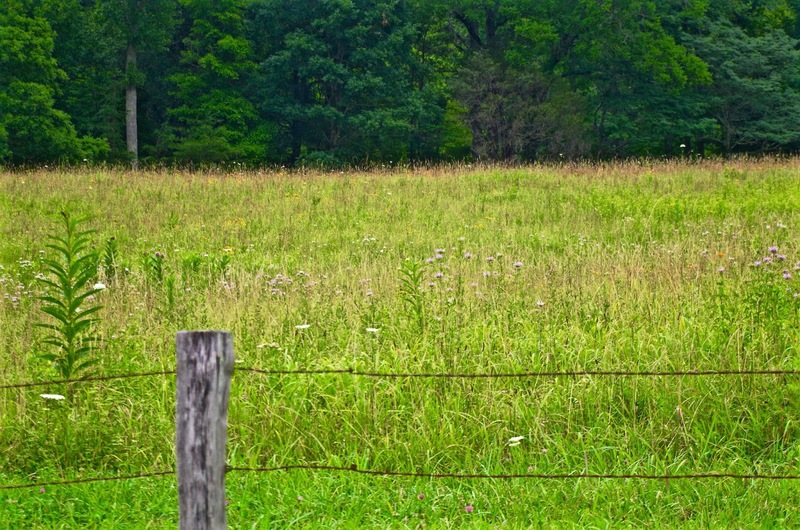 By the mid 1800s there were 132 families (about 500 people) farming the precious flat land in the cove. 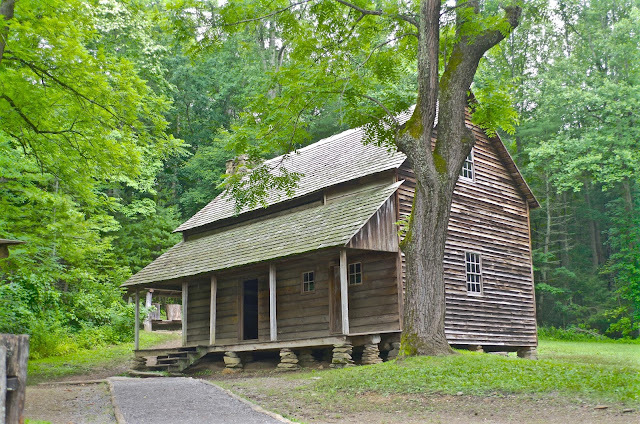 Today, Cades Cove is home to one of the most complete collections of historic structures in Southern Appalachia, letting visitors see firsthand how people subsistence-farmed and lived off the land. 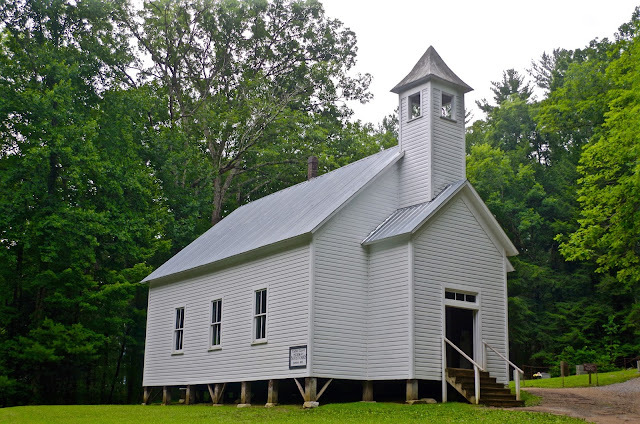 Early churches, homes, mills, barns and even cemeteries are left just as there were. As I've said after every visit to a National Park, thank you, thank you to our fore fathers for saving these beautiful lands for us, and our children and their children to enjoy!